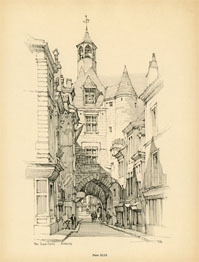 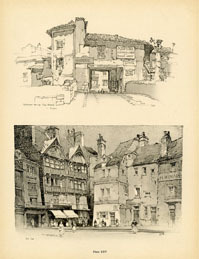 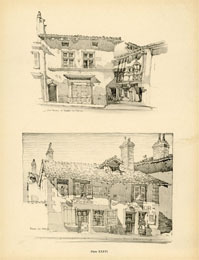 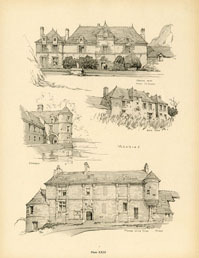 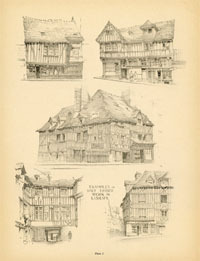 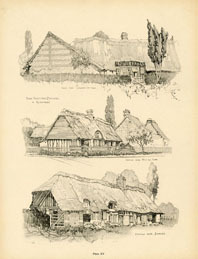 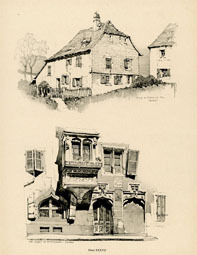 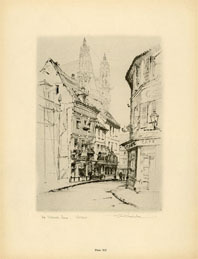 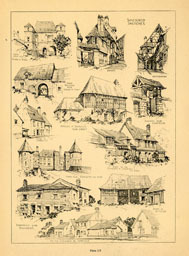 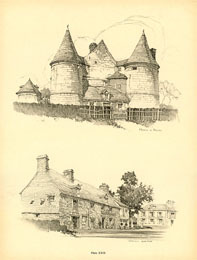 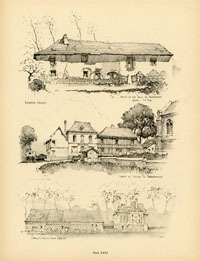 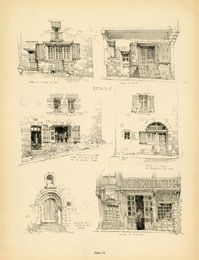 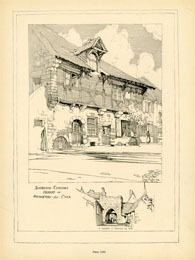 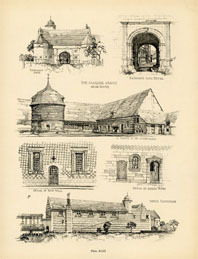 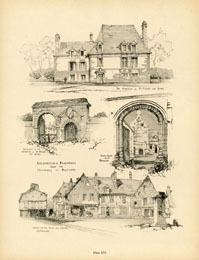 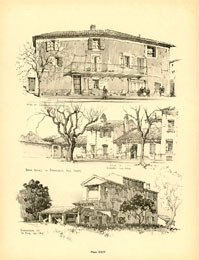 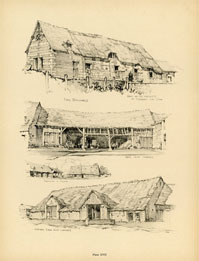 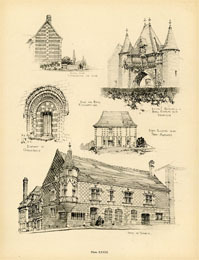 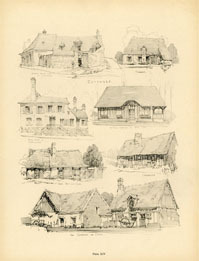 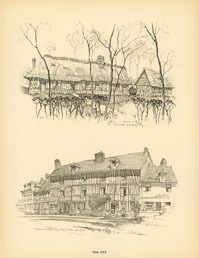 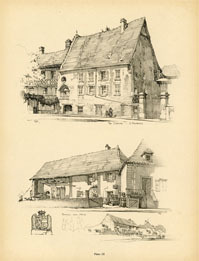 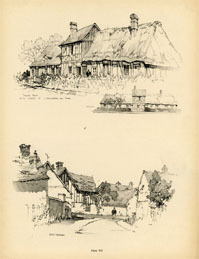 The lithographs of the architecture of rural France shown on this page are based on illustrations by Samuel Chamberlain originally done in drypoint and pencil. 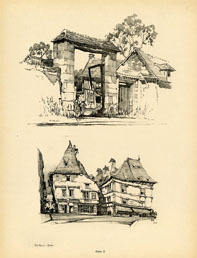 They are based on travels he made to rural France in the 1920s including Burgundy, Auvergne, Provence, Normandy, Brittany and the Touraine. 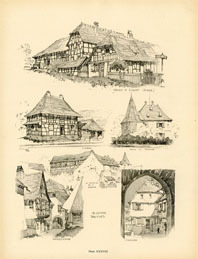 The architecture includes cottages, small chateaux, manoirs, farms, windmills, gates, doorways and architectural detail.